Our production staff, especially our Production Manager, Samuel Mitschke, has been putting in long hours creating packaging mockups for me to take to the various meetings while I am in New York. 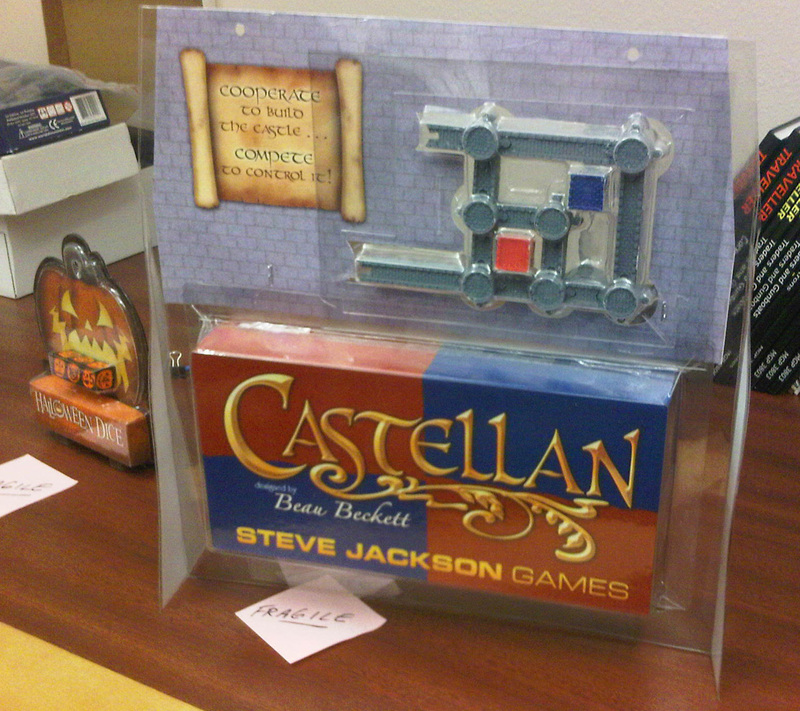 One of the more impressive examples of their efforts is the Castellan package, where Sam took my rough idea and assembled a quite attractive mockup. As you can tell by the photo, this is a multi-level package that shows off both the fabulous plastic playing pieces and the box (which was a work requiring several people, including Sam, Alex Kosarek, Monica Stephens, and Ben Williams). I love that our production staff is capable of producing these near-perfect product mockups. Having what looks like finished games really helps our sales presentations pop, and seeing these has me even more excited about the new games we're planning to release later this year!